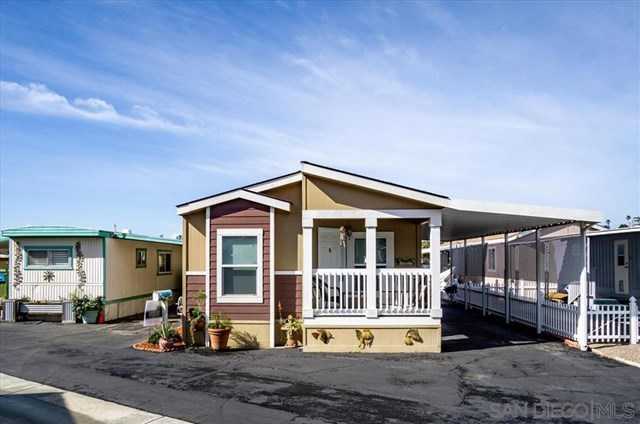 Built in 2010 Manufactured Home Within Walking Distance To Buccaneer Beach in Oceanside. Great 2 Bed 2 Bath, Double Wide, Vaulted Ceilings, Drywall Interior, Open Floor Plan, Laundry Room, Deep Carport, Deck of the Front Entrance into the Home. Plenty of Closet Space in Bedrooms. Good Sized Kitchen With Modern Appliances. Perfectly Situated in La Salina Mobile Village. Great Coastal Ocean Breezes, Friendly Senior 55+ Community. Last Affordable Beach Town Along the Coast of California. This Won’t Last! I would like to schedule a private showing for this property: MLS# 190007522 – $199,999 – 141 Sherri Lane, Oceanside, CA 92054.